Trump only briefly mentioned American energy, saying the U.S. is “the number one producer of oil and natural gas in the world” and that “for the first time in 65 years, we are a net exporter of energy.” The U.S. is expected to become “energy independent” in 2020, according to Energy Department forecasts. 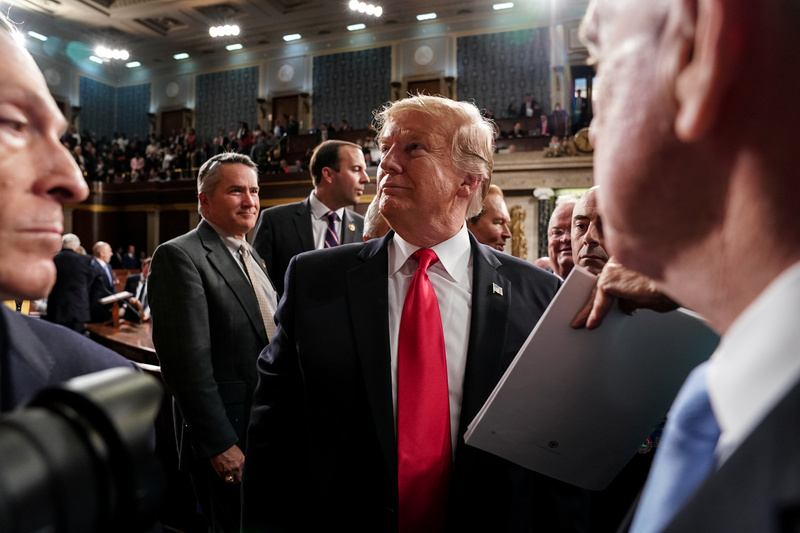 President Donald Trump after the State of the Union address at the Capitol in Washington, DC on February 5, 2019. Doug Mills/Pool via REUTERS. Perry was the “designated survivor” for last night’s address, meaning he remained in an undisclosed, secure location. One cabinet member does not attend every State of the Union in case disaster should strike.